The Online MBA in Human Resources Management is offered by non-profit, AACSB accredited, Southern New Hampshire University. Gain the organizational knowledge and leadership skills needed for a successful career in human resource management. The Master of Business Administration in Human Resources at SNHU provides HR professionals with an understanding of business operations and how to spearhead corporate HR functions. This program is a natural fit if you’re an HR professional seeking to manage at a level where your decisions and strategic approach are tied directly to an organization’s goals and bottom line. Request information direct from Southern New Hampshire University. For people that are looking to pursue a career in Human Resources, an MBA can help to advance their careers. 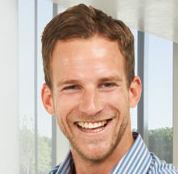 This type of program can build up a student’s business skills, as well as enhance their management techniques at the same time. The additional education that is needed in order to complete an MBA course may be the best way to get ahead of the competition in the employment market for this industry and allow the student to hone in their skills and expertise in Human Resource management opportunities. A Human Resources MBA will place a strong emphasis on various business strategies and concepts along with other essential topics like corporate head hunting, benefits analysis, and business coaching. The average program requires around two years of study depending on the school and specialty you choose, however some could take less. A Human Resources MBA opens the door to career opportunities for people interested in working within an organization in a managerial position. The studies concentrate on preparing individuals to manage specific human resource departments and to provide business knowledge and experience as well as skills in how to manage individuals and groups. This course of study puts a strong emphasis on previous professional experience, and those who apply can fully expect to be asked to provide a detailed resume outlining their leadership and teamwork abilities before being accepted. Most MBA programs are organized with a core set of business courses in mind. These can include economic theory, accounting, organizational behavior and financial analysis. However, with a Human Resources MBA, the program is a little different. The student that embarks on this type of course will need to have strong decision making and interpersonal skills to be successful in this course selection. A core focus in all of these areas will be a strong concentration on interpersonal communications and social development. Once you’ve completed the core part of your curriculum, you will be able to focus your attention on a Human Resources specialty if you choose to. Most people will opt to concentrate on careers like Human Resource Management, Affirmative Action Officer, or a Payroll Director. These subjects train managers to recruit and train employees and motivate high performance among workers. As with other MBA programs, graduates are often expected to continue their education even after they have completed their degree courses. This will help them to increase their competitiveness in the job market and to ensure that the company’s that they work for remain progressive in their field. The dynamics of Human Resources change frequently, and it would be necessary for an HR Manager to remain current on the constantly changing laws, regulations, and policies that are imposed by government, management, and institutions. Those who choose to pursue their PhD will be in a much stronger position to expect higher pay and first options for many jobs. The field of Human Resources is one that will continue to be in demand for many years to come. The US Bureau of Labor Statistics anticipates that the industry will see a 13% increase in the next few years with an average earning of around $99,720 annually for Human Resource Managers. Compensations and Benefit Managers on the other hand will not see a significant growth over the next few years, and careers in that field will be highly competitive because of it. For those who are interested in further advancement opportunities in executive positions there are other career options that can be considered. Many with Human Resource MBAs have been successful at landing jobs in consulting, research, writing, and educational fields. A Human Resource MBA can provide students with valuable skills that can apply to many different types of industries related to business. Any students that focus on this field of study will find many job opportunities available to them in every possible industry that exists today. 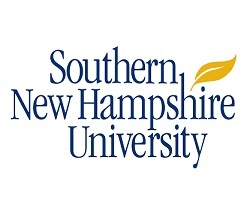 Southern New Hampshire University – This no GMAT, online MBA will provide all HR professionals with a deep understanding of business operations and how to lead corporate HR departments to be highly innovative and efficient. If you are working as a mid-level HR manager, your career can be quickly accelerated by earning this online MBA. You will learn how to provide management that ensures that your decisions and strategic approach are directly tied to the goals and bottom line of your organization. Northcentral University – This accredited, online MBA in Human Resources Management will help you to focus on human resource capital, business, and leadership. You will explore all parts of human resource management. You also will address the human resource issues that affect the global economy. You will finish this program in about 22 months. St. Leo University – You will gain the experiences and skills that you need to become a highly successful HR manager with this online MBA with a focus on human resource management. The courses in this accredited program will explore the processes, concepts and issues that you must deal with in HR training and development. You will study administrative and personnel law, recruitment and staffing, policies and legal compliance. Franklin Pierce University – This MBA in Human Resource Management is made for current and future HR leaders who want to have the knowledge and skills to leverage the human resource department in an organization. The coursework in this no GMAT program will allow you to have a system-wide perspective and to apply critical analysis and strategic thinking. You will be given many chances during the two year program to apply your learning in a current work environment. Walden University – With a specialization in Human Resource Management, this MBA program will help you to develop the chance to have more awareness of leadership styles and how they affect teams and individuals. You will study all of the skills that you need to lead a strong HR tea, and you will be able to counsel upper management on the most pressing personnel issues. There is no GMAT required for this HR program. Liberty University – Earn your Master of Business Administration with a cognate in human resources so that you will be prepared for leadership positions in corporate human resources. You will learn how to deal with organizational behavior, compensation management, human resource development and workforce planning. Also, you will learn about important issues in the field of human resources that will equip you to become a high successful HR executive. American Intercontinental University – This no GMAT MBA will give you the practical applications and interdisciplinary perspectives that you need to thrive in the HR field. The courses in this 2 year program are set up to help you in the development of your career HR goals. Your education will reflect modern employment problems, current trends and policies, and the interaction between strategy and human resources. Tiffin University – You will be able to integrate the knowledge and skills from the core MBA program here to address the many challenges that you need to deal with in a modern human resource environment. You will benefit a great deal from the exposure to applications and theories that are involved in hiring and keeping the best employees, how to manage the employee/employer relationship, and how to provide competitive advantage through strong human resource policies. Capella University – In this accredited, no GMAT required program, learn how to increase your ability to perform the most important strategic roles in the human resources field. Some of the most important topics include human resource strategies and best practices in HR in national and international organizations, and how to use current technologies to improve company productivity. California Coast University – This MBA in Human Resource Management is a self-learning graduate degree that you can do 100% online. You will need to take 30 semester units in business and human resource management, and nine in electives, for a total of 39 hours. You will take courses in human relations, management information systems, marketing management, financial management, organizational behavior, business ethics, and advanced human resource management.